Governing fisheries is a terribly territorial affair. This fish belongs to you, that fish belongs to us. You can fish there, we are fishing here. When fisheries head to the high seas, it gets even more complex. They are all our fish, and very few restrictions on where we can fish. But does a territorial approach limit our capacity to manage fisheries effectively? 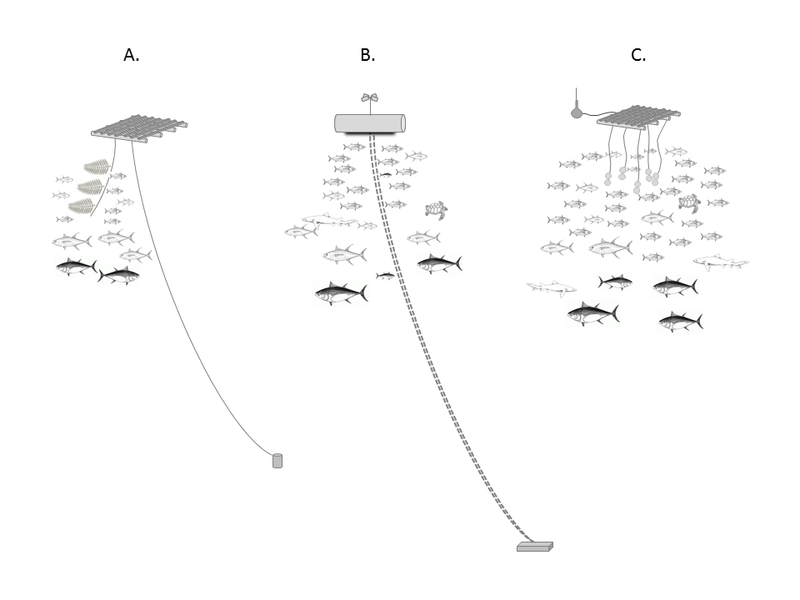 In a recent paper co-authored with Arthur Mol on the use of fish attraction devices in tuna fisheries we argue it does. Territorial approaches to managing oceans and seas are based on spatial demarcation. This means drawing lines around waters and economic exclusive zones, or dividing up the water column into defined zones – think pelagic or benthic. National interest and cartography have driven this spatial demarcation. But unfortunately migratory fish species like tuna do not obey the maps produced, and fishers and fishing nations constantly find ways to avoid being ‘bounded’ by spatial jurisdictions. So let’s put our maps to the side for a minute and think up a new way of regulating high seas fisheries. Instead of drawing lines on maps, regulators could shift their attention to controlling what are called ‘environmental flows’that come together at any fishing event: Fish fishing capital, fishing practices, information on stocks, and trade. All of these flows are not spatially bound, and each (with the exception of fish) is social in nature. By interacting with each other people make collective decisions about what to invest, how to fish, and where to trade, and they make these decisions based on available information. Seen as such, fisheries governance is not about telling fishers where to operate. It is instead about controlling the flow of capital, information and trade which influences the decisions they make about where and how they operate. The use of FADs in skipjack tuna fisheries is particularly illustrative. Drifting FADs (as opposed to anchored FADs) move with ocean currents and, as their name suggests, attracts tuna and other open ocean animals. Purse seiners deploy their nets around these FADs and harvest the skipjack tuna. Controversially they also catch more vulnerable bigeye tuna, as well as endangered and threatened species. But FADs also open up an opportunity for moving beyond managing territories to managing environmental flows given they create a meeting place of fish and fishers, and with fishers, capital, information, regulation, and trade. Schematic drawing of three FADs. (A) Coastal anchored FAD; (B) Archipelagic anchored FAD; (C) Drifting oceanic FAD. So given the challenges of negotiating access and control over FADs, is it not possible to steer the behaviour of fishers by controlling financing, for instance, to affect flows of information about stocks and trade. In doing so focus should be placed on the networks of fishers, governments, financiers, an scientists as well as the structure and function of value chains that structure ownership and control over the actions of fishers. Affecting these social relations of fishing practice, rather than focusing on spatial jurisdictions of oceans and seas may provide new ways of thinking about how to steer change in fisheries.